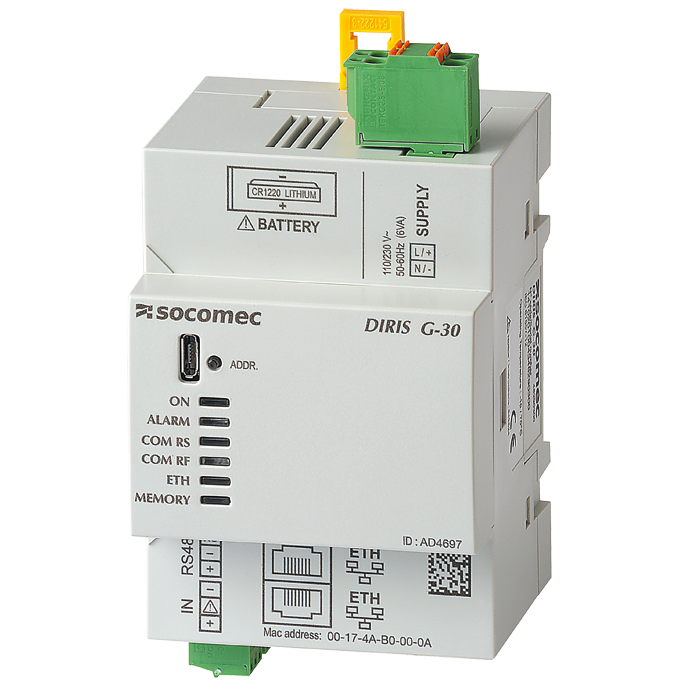 With DIRIS G communication gateways, all the information from power monitoring devices communicating over RS485, is centralized and made available over Ethernet Modbus TCP. The DIRIS G gateways have an embedded web server WEBVIEW-M accessible from a computer just using a web browser. WEBVIEW-M allows the visualization of real-time electrical values and analysis of past measurements and energy consumptions from up to 32 devices. User can be alerted of any alarms via email.